Andrew Sean Greer is the bestselling author of five works of fiction, most recently The Impossible Lives of Greta Wells. He lives in San Francisco, where he is at work on another novel. 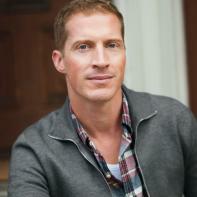 “A Pile of Words,” an interview with Andrew Sean Greer. This interview was conducted via email by Interview Editor Niki Johnson. Of the process, she said, “With such an accomplished body of work, how could I not be thrilled to interview Andrew Sean Greer? His responses here demonstrate his passion for writing.” In this interview, Andrew discusses ditching strict writing rituals, the influence of imagination, and the evolution of his latest novel. Superstition Review: Dealing with an incredible loss, Greta falls into such a deep depression that conventional medicine does not help her. How did you decide to use electroconvulsive therapy as a catalyst for your story? Andrew Sean Greer: Let me tell you, I went through a lot of ideas before coming up with ECT. I didn’t want it just to be waking up in a new world—I felt like there needed to be an agent (like Dorothy’s cyclone) and that it should relate to her basic conflict in her life. Electricity to cure depression—it seemed perfect. SR: You mention that you began writing The Impossible Lives of Greta Wells in 2003, but you abandoned the idea, and the book was ultimately published in 2013. The premise of this book is really fascinating. What made you return to it? ASG: Well the first time around, I couldn’t crack it. I was writing it as three separate novellas, all with the same characters and situation but set in different eras. I realized that would be the most boring book ever written. Then I tried overlapping them—it became incredibly arty and precious. SO I abandoned it. It was only while working on another book that I realized I could overlap the stories by having the protagonist switch among them, knowing all along what is happening. That seemed like a fun book—I had cracked it at last! SR: There are three time periods for this novel: 1985, 1941, and 1918 which are markers for the start of the Cold War, the beginning of World War II, and the end of World War I, respectively. What drew you to center Greta’s experiences during time periods of major wars? ASG: I have no idea. If there’s one subject I have no ability to write about, it’s war. And yet in each of my last three books, they have been set around the major wars. Maybe because I’m interested in history, and in the moments between the “famous” moment in history, and of course history is the history of war and what comes after. The “comes after” it turns out I can do. SR: The setting of Greta’s alternate lives take place in New York, in the same apartmnt, yet decades apart. I was fascinated by your attention to the physical details. What was your process in preparing to describe New York through the decades? ASG: I had the great good fortune, in 2009, to be given a fellowship at the CUllman Center at the New York Public Library; that funded me to live in NY and research my novel for a year. I did loads of careful study, and found wonderful old texts about the village and New York in general, but when I had to pick a spot for it to take place…I was stumped. So I set it exactly where I had my apartment. Or, well, one block down: Patchin Place. Living there and imagining the other times was better research, it turned out, than anything I read. SR: How did you negotiate between reality and “the impossible” in your novel? ASG: The challenge in writing any piece of fiction that it outside the ordinary experience of “reality” is to have no border. Alice sees a rabbit, sees it go down the rabbit hole and thinks “I had better go in too.” She is not surprised by anything that happens later except how rude people are. If she had spent five pages thinking “What is going ON here? !” it would have been a very tedious story with a very unimaginative little girl. Instead: it’s magic. In the first draft, Greta woke up and tried to figure out what was going on for pages and pages. Now she just wakes up and thinks: what am I WEARING? SR: I am interested in this idea that the Gretas are the same, yet not the same, existing in alternate realities—aware of what the other wants, without really knowing. What made you decide that they would not reach out to one another? ASG: In the first draft they did! They had a notebook where they would write messages to each other, or cross out messages the other had left. I remember at one point another Greta had written “trust Mrs. Green” and another had added, in different pen “Don’t”—because she didn’t want Greta to find out her own past. It was fun. But it got too “Memento,” too complex, and I lost my mind a little. There’s only so much an author can handle with seven major characters in three different eras…..
SR: Greta mentions that Nathan’s famous words, “I’ll leave it to you” became “the antidote to all [her] fears.” How do you think this affected Greta’s choice to stay in that last world? ASG: That phrase is double-edged: it seems very generous, but in fact is absolves him of all blame. Kind of a “Whatever!” I think she understands that, in the 1985 world, he will never be hers. There is only one time where he truly is. SR: The scene when 1918 Leo sneaks Ruth and Greta into the Washington Square Arch was one of my favorites. I fell in love with Leo at this point—rebellious, vulnerable, and passionate. He mentions artists or as we know them, “Arch Conspirators,” who held a party on the roof the year before. How did this scene work its way into the novel? ASG: Oh I was reading about Washington Square Arch, and one book in particular showed photographs of the author climbing the stairs inside and going up to the top! I was fascinated—who knew you could go up there? And that it was hollow? But of course Marcel DuChamp famously climbed up there and got in loads of trouble, back in the bohemian days. I thought it would be a beautiful New York moment, one I had never read about before. And of course the fun of it the structure of this novel is that Greta gets to take someone else up there later on, with knowledge she learned form another world! SR: I applaud your choice to have a female as your narrator, especially considering the time period. I feel like there are aspects of the narrative that you otherwise would not have been able to explore. What drew you to this choice? ASG: I first tried a male narrator, mostly because my last book was a female narrator and I wanted a change. But I began to realize that, for a straight white man, nothing really changed from 1918 to 1985! The real change was for people of color and women! Without change, the novel lacked tension and structure. Also: the plot of his having a mistress in another world seemed somehow chauvinistic. For some reason, Greta having a young lover feels…liberating! So I began all over again, this time with Greta. SR: In a conversation with Hoodline, you said changing the title The Impossible Lives of Greta Wells from Many Worlds, “threw me into a tailspin, although I’ve changed the titles of three of my books upon publication” before. What is most important to you when titling your work, even if it changes? What elements of the story do you try to capture in the titles? ASG: The working title is always a kind of homing device for me: it is what the story is really about. Even if it changes, the book is always written towards that title. I can not dream of writing a book without a working title—I think you would be making a pile of words instead of an ordered story or universe. Yet I hate to change it. It’s like changing the name of a boat—you have to do a certain ceremony or it’s bad luck. SR: You’ve had such a rich career, publishing five novels, a story collection, and several anthologies. What is some advice you give to new and aspiring writers? ASG: Pay no attention to what you think is “popular” these days. Young Adult fiction is “popular” right now; a decade ago it was memoir; a decade before that, “dirty realism." Jump on the bandwagon and you will certainly have a book! But you will not have a career. Once the trend passes by….you will be just where you were before. The second: you have to read. Constantly. I mean really constantly. If you don’t read because you prefer television, then become a television writer; that would be a great career. Only become a writer if the written word is your favorite way to experience (and tell) a story. Read. And then write. Constantly. Not all night long—but every single day. Revise. Revise again. Throw away a bad novel and start a new one. Don’t give up, and don’t explain yourself, and don’t complain. There will be no money. Just do it and enjoy. SR: Have your writing habits changed over the course of your career? ASG: There is nothing magical in my writing habits, and I have made sure to keep it that way. If you have too many “habits,” then you begin to think you can’t write without a special pen, at a special time of day, in a special room, with special sound…in other words: procrastination. I used to think I couldn’t write in a cafe, but I’ve learned it isn’t true. I presently think I can’t write in longhand, but as I am about to spend six weeks in a place with spotty electricity (in India) I will find, I think, that that also isn’t true. All that is true is you write every, every, every, every day. Every successful writer does that. Every single one. Weekends, okay. Maybe. But I don’t know any writer who takes a “vacation.” We write on vacation. We write over holidays. Because not writing isn’t a “break.” It’s like an athlete not training. SR: For me, the audio clip of your visit to Patchin Place only reconfirms the magical qualities so eloquently captured in the novel. I was surprised you never spoke with its residents before—your reactions were wonderful. What prompted the recorded visit? Can you speak a little about the experience of entering into a world “locked away from the city”? ASG: Oh I am actually a terribly shy person, and I found it all too intimidating. This is true of a lot of parts of my novels: that I imagine them so thoroughly that I don’t want to break the spell. So once I had begun to write, I didn’t talk to the residents. They are all too young, in any case, to recall the forties and teens…though not at all too young to recall the eighties. But I lived in the Village in 1992, and had heard enough stories of how sad it was. ASG: It is the front room of our flat—the lower story of an old Victorian—and it is filled with light every morning. I frosted the lower half of the windows to avoid sidewalk lookers-in, and cut out two words in the translucency. So every morning, when I walk into my studio, the morning light comes through and reads: NICE DAY. From the street, however, it reads (confusingly): YAD ECIN. You can’t have everything.